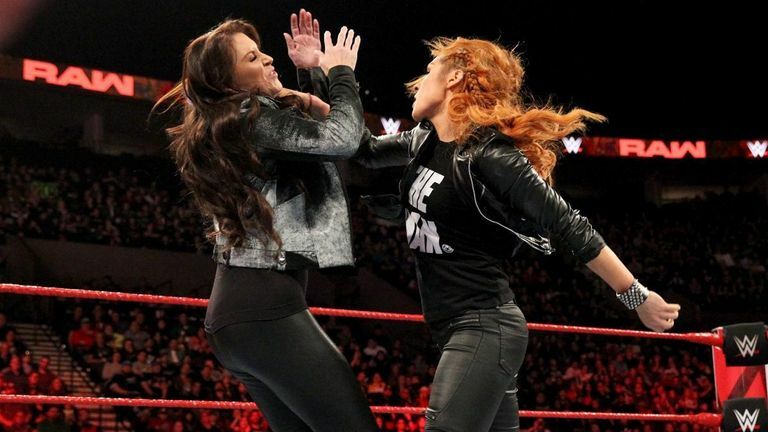 Becky Lynch was suspended on Raw last night - a decision which led her to attack WWE's chief brand officer Stephanie McMahon. Lynch confirmed last night that she will not accept a medical evaluation to establish the extent of her knee injury despite McMahon insisting she had to if she wanted to be cleared to compete. McMahon went as far as saying Lynch would be suspended if she did not undergo an evaluation on the injury she suffered in her match against Asuka at the Royal Rumble nine days ago. Lynch jarred her knee in that bout - the first one of the event - but went on to win the Royal Rumble match and secure a WrestleMania title match, in which she has chosen to face Raw champion Ronda Rousey. After attacking McMahon, the Irish star was led out of the building by several security guards and was greeted by Rousey on her way, who suggested "ice and Advil" were the best solutions to her problem. Nikki Cross and Alicia Fox knew their opponents for the final Raw place in the Elimination Chamber match for the WWE women's tag-team titles were the favourites to win the whole thing and therefore launched an attack on Sasha Banks and Bayley during their entrance. It provided them with a massive momentum going into the match itself and the Boss n Hug Connection were on the back foot for the majority of it. On several occasions Banks bailed out Bayley but the Hugger scored the crucial pinfall, rolling up Fox to book her team's place in the six-way Chamber contest at the event of the same name on February 17. Kurt Angle was in the midst of a passionate speech in which he talked about how he is "unable to fight Father Time" when Baron Corbin emerged from the locker room to call him a "broken down old man". 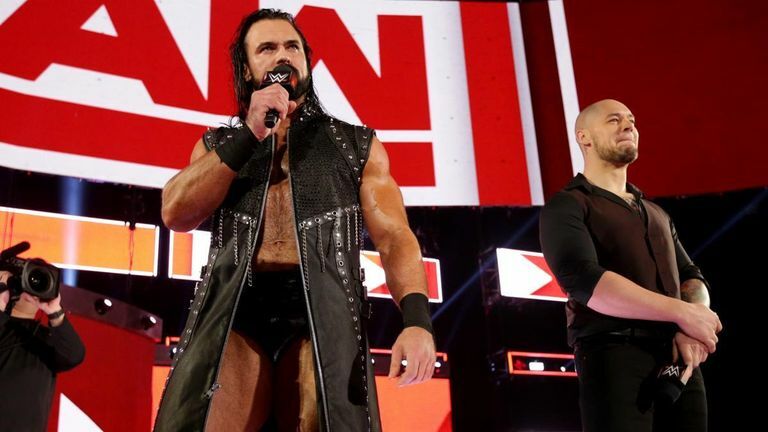 The verbal sparring continued, leading to the arrival of Drew McIntyre to back up Corbin and Braun Strowman to support Angle - and a tag-team match exploding between all four. Dean Ambrose's WWE exit: Is it for real? Rock & Mankind's Super Bowl battle! 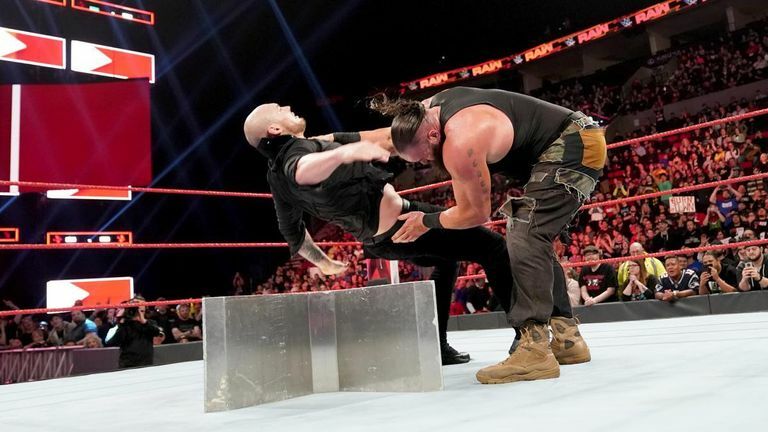 Both sides had their moments - with Angle dropping a few Angle Slams for old times' sake - but the result went the way of Corbin and McIntyre via a disqualification when Strowman allowed his aggression to get the better of him. The match lost, the Monster Among Men then took things even further, delivering a chokeslam apiece to Corbin and McIntyre - onto the steel steps. Will Roman Reigns be fired by WWE?